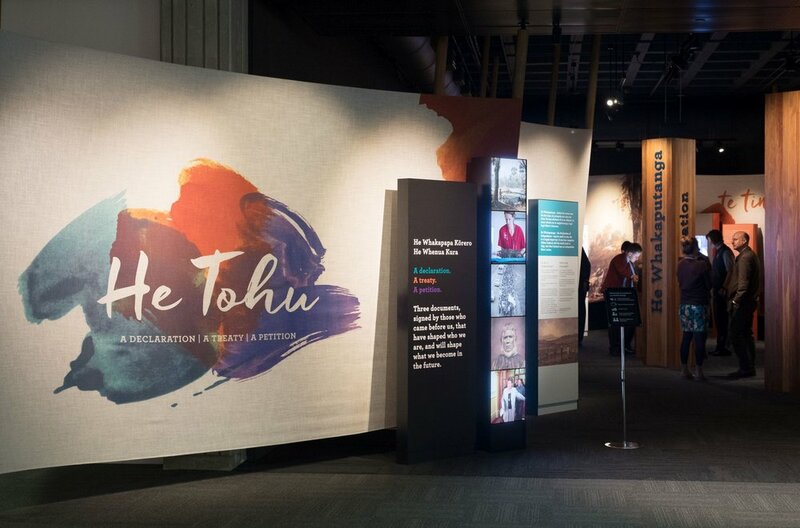 A Pacific Testimony: UnTo the Islands of the Sea is located within the Matthew Cowley Church History Centre at Temple View (near Hamilton). It describes the history of the Mormon Church in the Pacific - from 1844 to the present. The exhibitions are a strong break from traditional Latter-day Saints' museums. We were commissioned to bring a 'Pasifika' voice to their history - a far different approach to their usual 'American Gothic' style from Utah. This meant a more personal narrative, bright colours and large scale illustrations, graphic novels and playful interactives. Creating a museum narrative around Faith and Belief was a challenge. Combining historic events with expressions of worship and personal testimony - directed specifically at a younger audience - required Story Inc's team to be immersed in Mormon culture throughout the two-year project. A Pacific Testimony is one of our most successful projects to date. Our clients are delighted with the result and we're thrilled with our creative outcomes. The exhibitions are open to the general public. 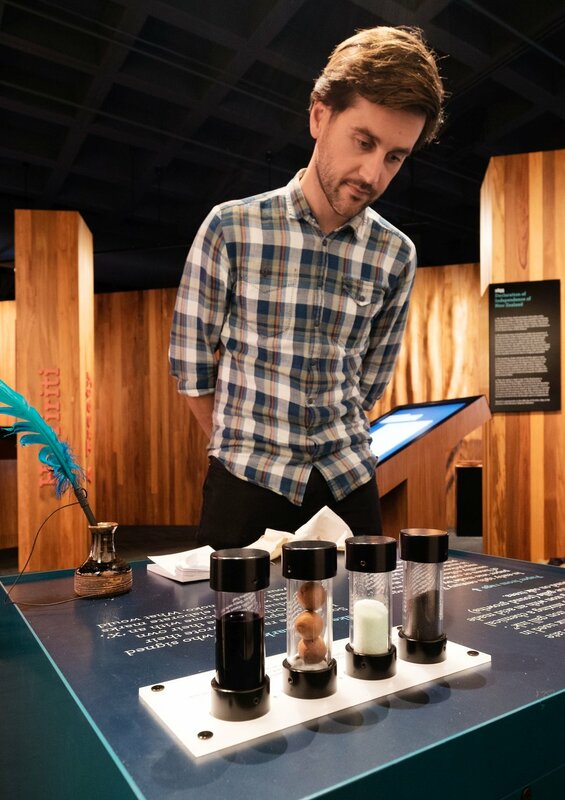 You don't have to be a Mormon to visit or enjoy the museum! Together We Make a Nation is an interactive online documentary which follows four women of refugee backgrounds living in New Zealand. TWMAN explores the stories of Ola from Poland, Neary from Cambodia, Yibeth from Colombia and Dalal from Syria. The women tell us about life in their former countries, why they had to leave and their lives now in New Zealand. 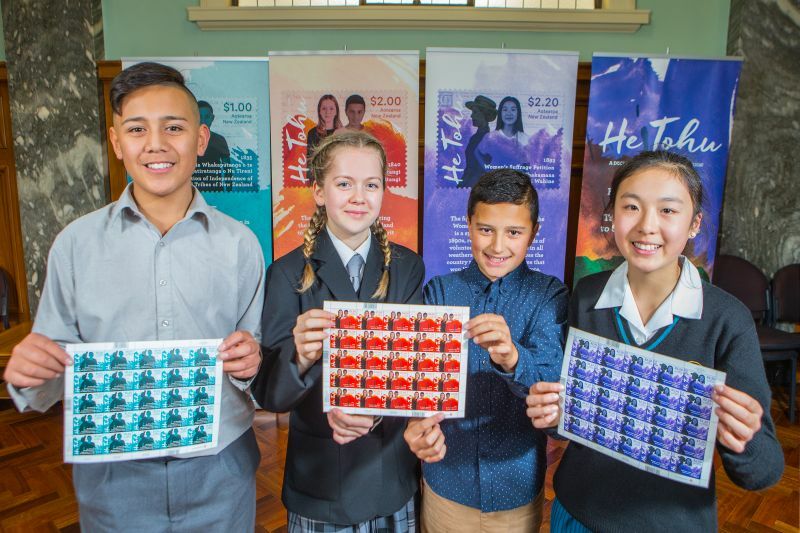 It was created in 2016 - 2017 by Steve La Hood from Story Inc, Sandra Clark, Rabid Technology and the New Zealand Red Cross. The interactive online documentary format means that the stories for Together We Make A Nation can be accessed for free by anyone. Unlike a traditional documentary, during the story viewers are presented with other information to watch, read and share; the viewer is in control of their own experience and journey of discovery. The website also includes community pages that are linked through Facebook to create an online hub, where organisations that support refugees coming to New Zealand can share resources, news and information. Together We Make A Nation was funded by NZ On Air as part of the Digital Media Interactive Documentary Fund. The Interactive Fund supports new content that pushes the envelope of creative storytelling. The Canterbury earthquakes were among the most traumatic events in New Zealand’s history. In 2016 Story Inc was hired by the Canterbury Earthquake Recovery Authority (CERA, now Ōtākaro Limited) to develop a Memorial Experience Strategy for the National Earthquake Memorial which was due to open the following year, on the 6th anniversary of the fatal 22 February quake. By the time that Story Inc was brought on board to consult on the memorial, ground had been broken at the memorial site on the Ōtākaro/Avon River, between the Montreal Street bridge and Rhododendron Island on Slovenian architect Grega Vezjak’s design “The Memorial Wall: Riverside Promenade”. CERA recognised that although Vezjak’s simple, yet beautiful design was fit-for-purpose and fulfilled the brief, there were a number of additional factors to consider in regard to the overall experience in order to create the most moving and effective memorial experience possible. 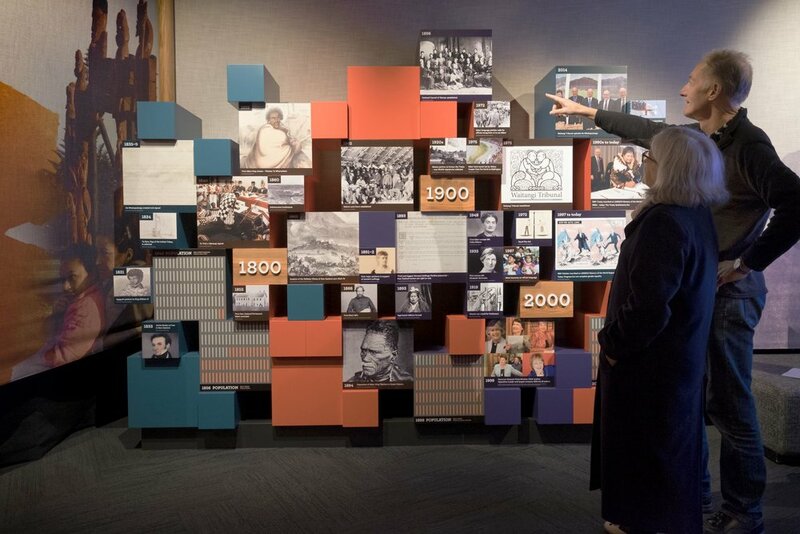 Story Inc was engaged to explore the available options and produce a Memorial Experience Strategy. To do this we facilitated and lead a series of workshops with the project team and other stakeholders. The recommendations that came out of those sessions were then refined into a coherent strategy which was then used to brief the development of specific visitor experience concepts. Media options e.g. Lighting, plaques, engraving, tributes, projection, audio, apps – the strategy narrowed down which of these options were appropriate and how they could be utilised to enhance the experience. The response to the Memorial since its opening in February 2017 has been overwhelmingly positive, with many visitors describing it as a “moving experience”. Though we played just a small part in its creation, Story Inc was honoured to be involved with this project of national significance.